Ireland has always been a nation of walkers, which means the trails are always fresh and clearly waymarked, and yet – apart from the most famous spots such as Glendalough or the Giant’s Causeway – you’ll have them almost to yourself, as there are so many trails to choose from. 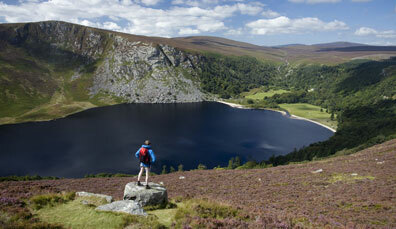 For walkers, Ireland can’t be beaten. It’s a small island, sure, but the variety of landscape is dizzying. Mountains, bogs, forests, rivers, beaches and historic towns are all within easy reach, which means that the walker can wake up in the morning, check the weather and decide over breakfast what sort of walk to do. 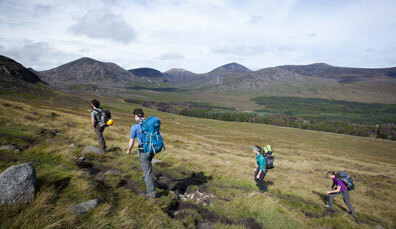 Find out about walking holidays in Ireland. 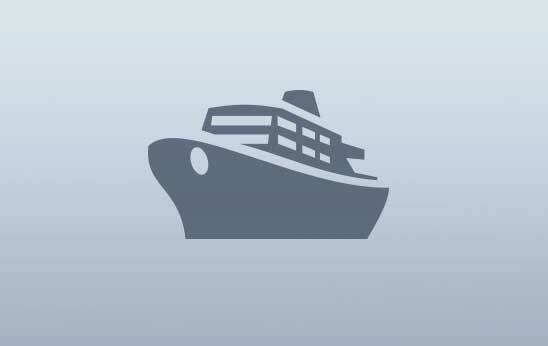 Are you in a group or travelling alone? Day walking from a base? Tackling a long-distance route? Tour operators and hotels will arrange to transport your luggage between your night stops for a long-distance walk. If you enjoy company, try to take in a walking festival. They’re held all over the island during the summer and last two to three days. They offer guided walks to suit all abilities and mix visitors with locals, before ending the day with traditional music and celebrations. 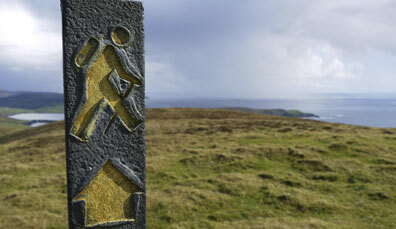 Ireland offers walking for every taste and fitness level, with linear or looped/circular walks. Families wanting a stroll could try a historic town trail, a sandy beach (Benone Strand, County Derry-Londonderry, and the Connemara coast are sensational), the lakes of Fermanagh, a river stroll in Kilkenny or a nature trail through unspoiled bogland. For fitter types, Croagh Patrick and Slieve Donard offer a strenuous climb that would fill a day; the Sugar Loaf in Wicklow takes two hours or so, but with a scramble to the top. For real enthusiasts there are also long-distance trails/waymarked ways that take days: the Causeway Coast in Antrim, the Sheep’s Head in Cork, the Mourne Way in County Down, and the Wicklow Way – although you can easily just do a short chunk of them. Short Walks in Ireland can take anything from 1-5 hours. Medium Walks can be anything from 5-20 miles (8-30 kilometres). On the lengthier end of the scale, Long Distance Walks can range from 20-650 miles (35-1,000 kilometres). Your definitive guide to walking in Northern Ireland, with routes, maps, lengths and recommended fitness level and types. This is your guide to walks across the Republic of Ireland, including type, difficulty, length and format. 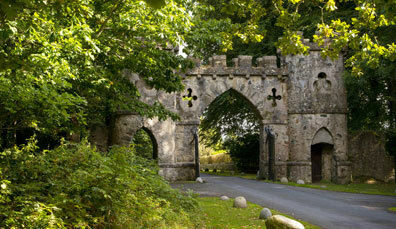 Coillte looks after over one million acres of land across Ireland so you can enjoy walking, hiking and mountain-biking. The weather in Ireland is changeable but it rarely gets very cold, even in winter. Throughout much of the country the rock is volcanic and craggy with loose pebbles, so for mountains and on long hikes take proper boots – you’ll need the grip and support. Trainers are fine for beaches and scrambling on rocks, but are not always waterproof enough for bog trails or ancient ruins, where the approach sometimes goes through long, wet grass. As for maps, the trails are so well marked you probably won’t need one for a looped/circular day walk. Cafés are in every town and village, but rare on country walks; buy a bottle of water and make or buy a sandwich before you set out. Supermarkets or newsagents in small towns often have a deli counter where they’ll make them to order. And when you return from a day in the fresh air, looking forward to a good dinner and a pint, remember – the evening is only just beginning! This outdoor ethics programme encourages all walkers to be responsible in their treatment of the countryside. 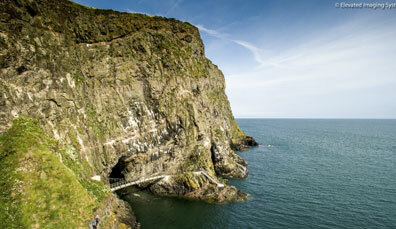 Erected over 100 years ago, the stunning Gobbins path wraps its way around the County Antrim cliffs. 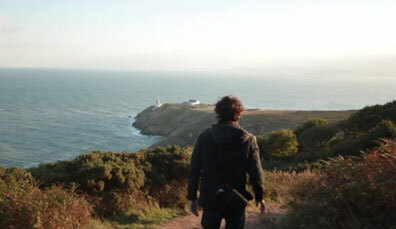 There's a walk to suit everyone in Dublin's surrounding landscapes, from lush mountains to coastal paths. Collected by walker and journalist Christopher Somerville, this is his collection of 25 day walks in Ireland.